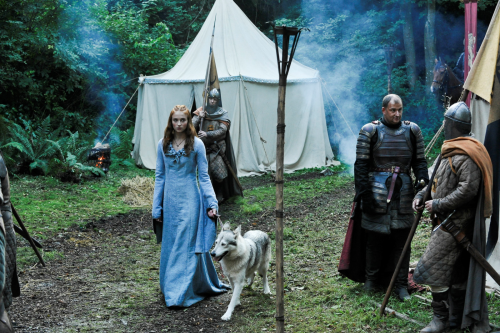 The eldest of Lord Eddard’s two daughters, Sansa is everything a young maiden should be: sweet, gentle, pretty, able to dance and sing and embroider, and quite innocent. She loves stories of romance and chivalry, and would love nothing better than to marry a beautiful prince and give him beautiful children. Naturally, she does not get along with tomboyish younger sister, Arya, nor does she think much of her half-brother Jon because of his illegitimacy. 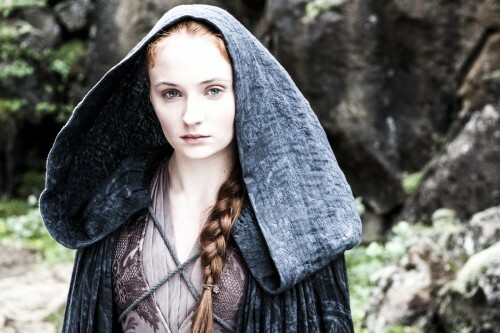 In looks, she takes after Lady Catelyn with her auburn hair, but Catelyn says that Sansa’s beauty will surpass hers. Sansa has been aged 2 years, to 13, in comparison to the novel.